For the first time in its history the Delhi University has announced that it will declare the results of the examinations held for the fourth semester the FYUP courses in just a time span of 12 days. In a press release dated 11 June,2015 Delhi University has announced this big news that they will be declaring the results of the fourth semester on 12 June,2015. The results announced will be from 39 out of 44 courses offered by the FYUP. The results pertain to nearly 43,000 students of the 44 courses. 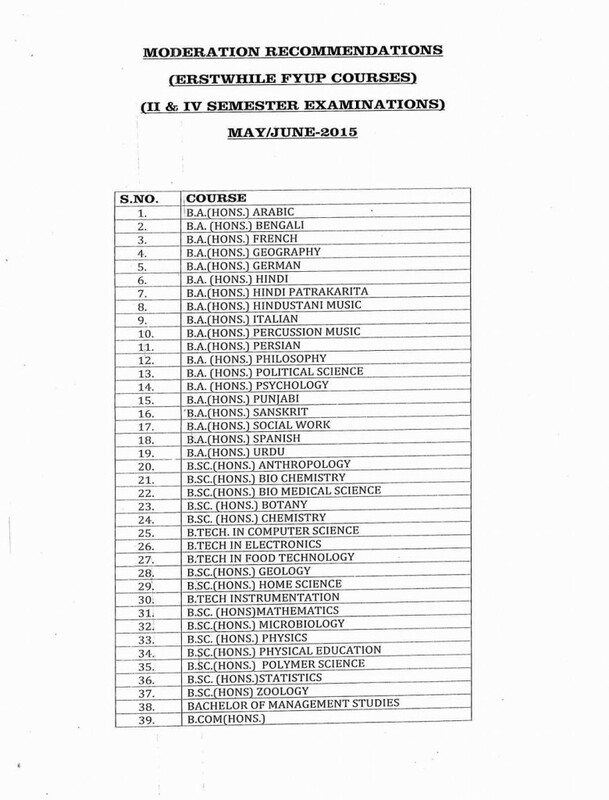 The examinations ended on 30th May, 2015. It has come up as a surprise for the students and even their parents that they will be getting their results just after 12 days. None of the universities in Delhi announce the results within such a short span, nor even DU has brought this into practice ever. Well! Its a good start and also sets a good example for other universities, to follow its footsteps. We have received an overwhelming response from the students. Truly, they can now feel relieved of the tension of examination results and that too so soon. However there are still students from 5 other courses who shall have to wait until they too get lucky and get the fruit of their hard work in their hands. PS ~Only students enrolled in the following courses shall be getting their results.